It is not rocket-science to understand that the web is becoming increasingly social. Most retailers have a social media marketing strategy, but campaigns are mostly geared towards putting deals on Facebook and Twitter. What would really make a difference is content that can enhance experience on these social touch points. The goal is to enable your most influential existing customers to spread word of mouth that would bring in more traffic. Soon, online shopping will be the same friends and family experience as it is in a traditional brick and mortar store. It is now common understanding that retailers have to provide consistent products, pricing, information, and experiences across all their channels. Multi-channel retailers have an advantage over pure-play retailers in that they have more opportunities to convert shoppers. This includes features such as ‘ship to store’, ‘ship to home’ (if not available in-store) or in-store access to content and community over mobile devices. 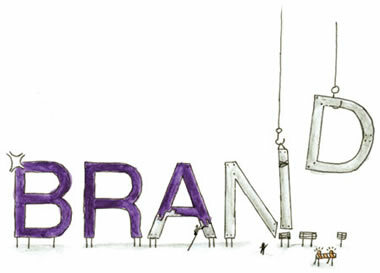 via What can retailers do to build a brand (and a loyal customer base)? | Retail Spokes – Online Retail Focused Content Solutions. If there is one thing to be learned from Amazon’s dominance in eCommerce, it is the importance of building a brand. It is phenomenal that 33% of all shoppers visit Amazon for research, according to a recent study by e-tailing group and PowerReviews. Although, it is apparent that Amazon does not provide best product choices or shopping experience for many product segments. Nonetheless, their ability to attract direct traffic is unmatched. This is where most eCommerce sites need to become better in that they have to build loyal customer bases. via Building a loyal brand following – a new focus for online retailers | Retail Spokes – Online Retail Focused Content Solutions.